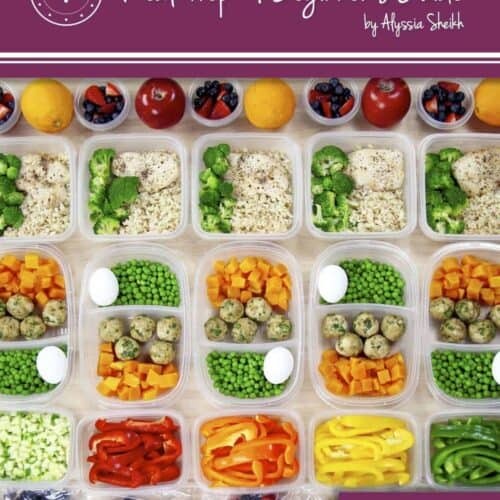 Meal prep can seem intimidating…but it doesn’t have to be! 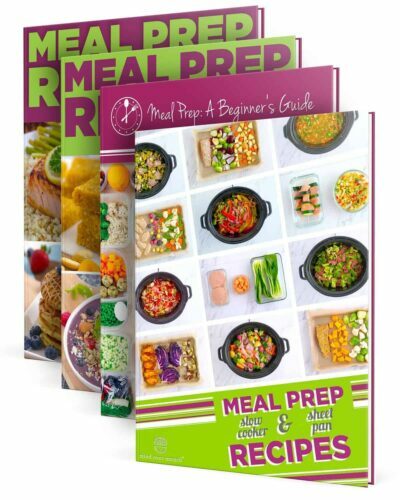 With this Vegetarian meal prep package, you can learn to make meal prep easier AND stick with your healthy diet. 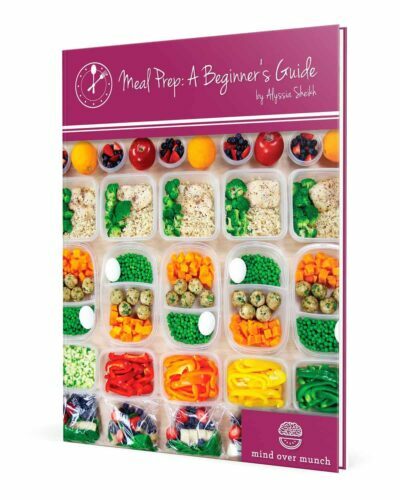 Meal Prep: A Beginner’s Guide is full of tips, tricks, and EVERYTHING you need to know about meal prep—how to stay organized, how to manage your time, and explanations of different cooking techniques. 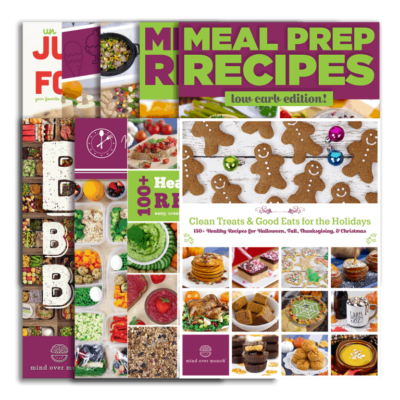 It can guide you step-by-step as you make meal prep a part of your life, AND it comes with 25 bonus meal-preppable recipes! 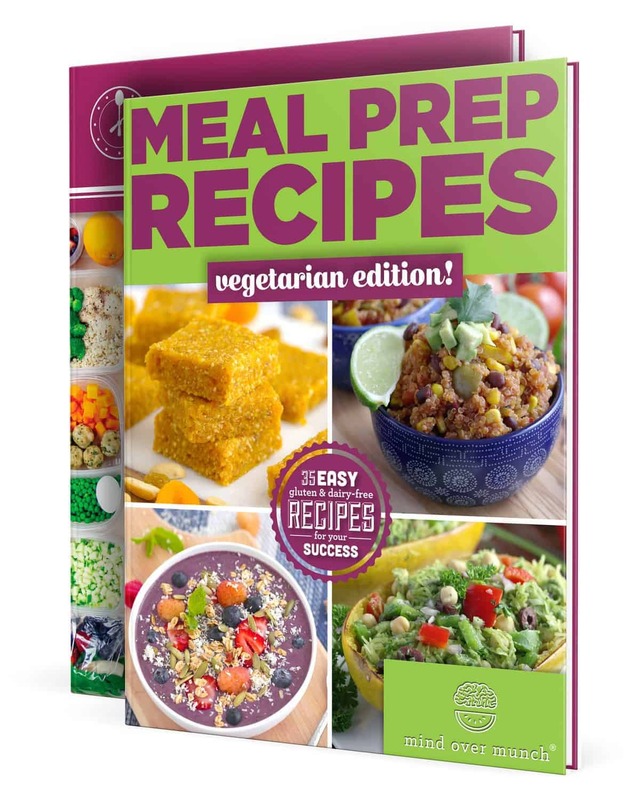 Then, you can put your new skills to good use with 35 MORE recipes in my Meal Prep Recipes – Vegetarian Edition! It’s filled with 10 breakfasts, 10 on-the-go lunches, 10 dinners, and 5 snacks that are all meat-less—and many of them are VEGAN or have vegan options. 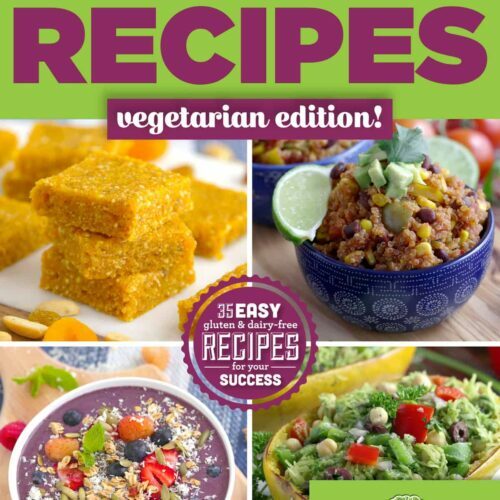 You can also easily add meat to many of the recipes if you’re not living a Vegetarian lifestyle. 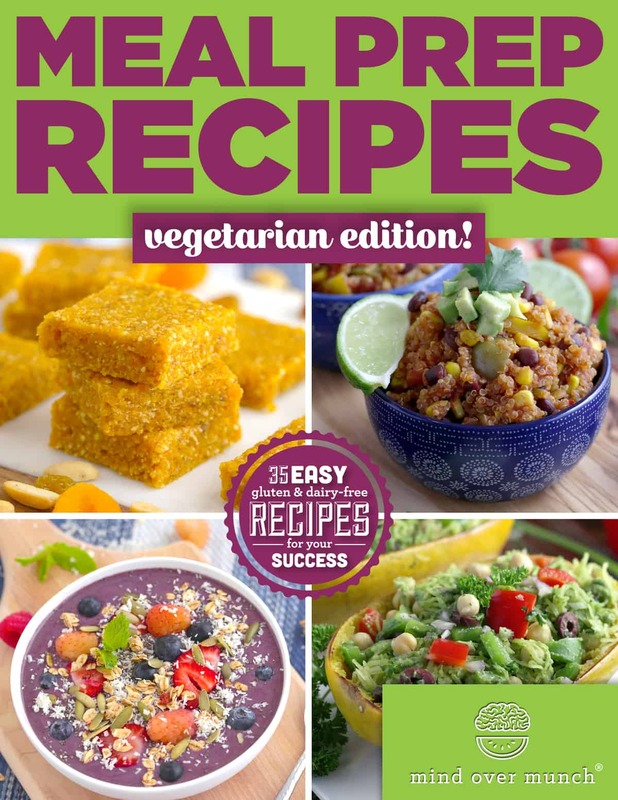 And, all of the recipes are also GLUTEN-FREE and DAIRY-FREE! 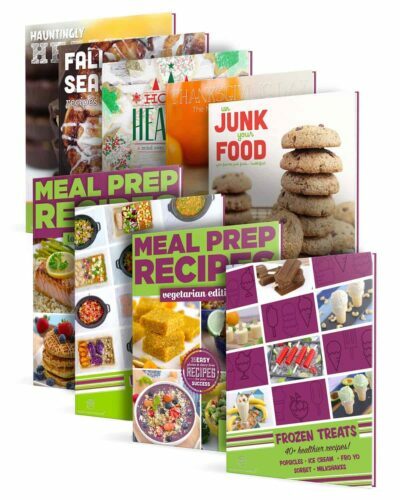 The dietary preferences, calories, and macronutrient information are provided for every recipe, so you can make choices based on YOUR goals and lifestyle. 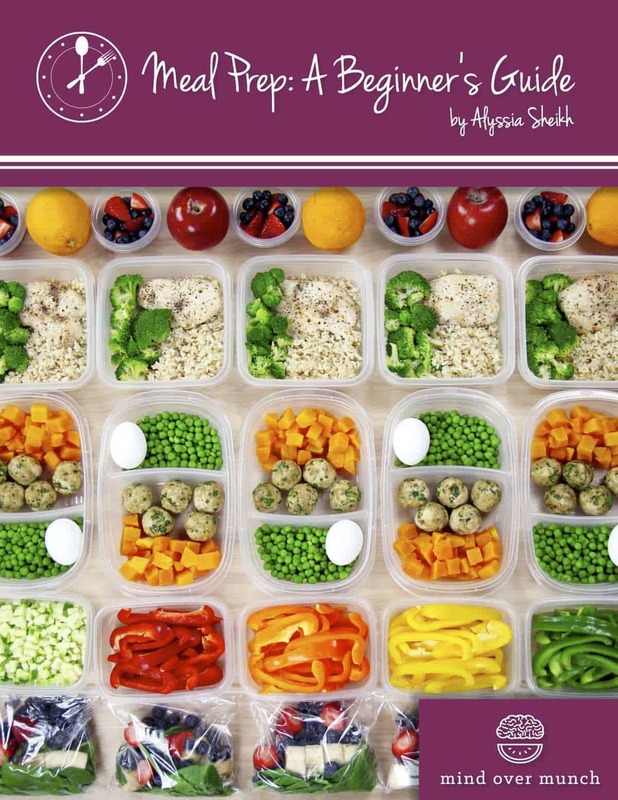 Make a healthy change that LASTS with easier, more efficient meal prep!